Cornwall Air Ambulance was called into action on Tuesday 25 September following reports that a woman injured her leg in a fall at a mine near Penzance. The charity’s pilot and paramedics arrived on scene just after 6pm, when they assessed the woman and administered pain relief. 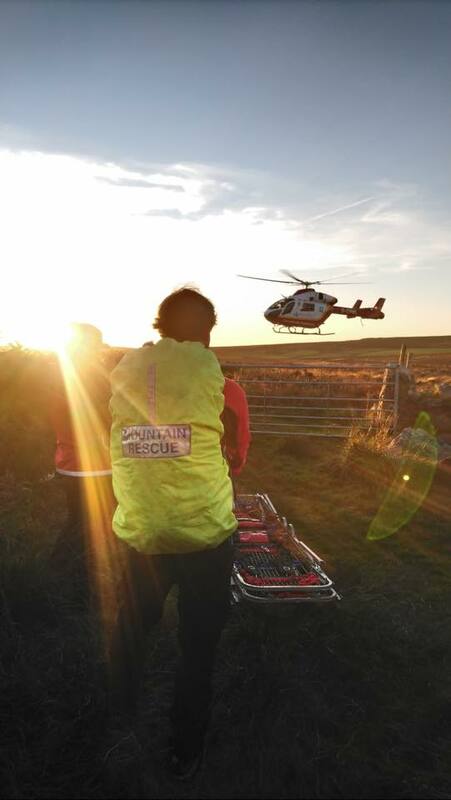 Due to the remote location, the helicopter crew worked alongside Cornwall Search and Rescue Team to transport the patient safely to the aircraft. The patient was taken aboard the air ambulance and flown to Royal Cornwall Hospital for further treatment. The Cornwall Air Ambulance pilot and paramedics then returned to the Newquay airbase.